Many people are familiar with fish oil, but krill oil is less known. Below is an overview of krill oil. 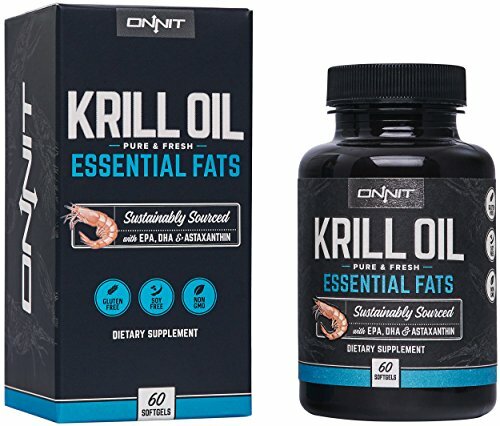 If you are interested in trying krill oil, we've offered some things to look for before you buy. Fish Oil is a popular supplement which provides Omega-3, Omega-6 and other health benefits. Unfortunately, Fish Oil can only contain mercury. For that reason, many people choose Krill Oil, a supplement containing many of the same benefits of Fish Oil but without the potential health risks. What is Krill Oil? How do you find the best brand for your needs? Our complete guide has everything you need to know about Krill Oil, including five mini-reviews of brands you’ll want to consider. There are several things you’ll want to know when considering a krill oil supplement. So, what are Krill? They’re small, shrimp-like crustaceans with the scientific name Euphausia superba. They have a pink appearance which is caused by the plankton they eat. Krill are a food source for a wide variety of cold-water animals including whales, penguins, fish, squid and more. Krill Oil is also used as a food source for people, too. The Japanese have been using Krill (called Okiami) as a food source since the 19th century. Krill is also popular is both South Korea and Taiwan. Omega-3 helps improve heart health in several ways. Regular use reduces blood vessel inflammation. Plus, Omega-3 lowers the rate of bad LDL cholesterol while also raising the levels of good HDL cholesterol. Krill oil also benefits diabetics by reducing inflammation and blood sugar. Note that people on blood thinners should first talk to their doctor before taking Krill Oil supplements. Krill Oil helps prevent the development of blood clots. While normally that’s a benefit, it can be a potential problem for anyone currently taking blood thinners. Omega-3 turns into a hormone called eicosanoid. This hormone controls the levels of prostaglandins, a natural inflammatory which reduces CRP levels. Don’t worry too much about all the scientific terms. Just know that Omega-3 helps reduce inflammation throughout the body. Daily use can help increase mobility while also reducing pain for arthritis sufferers. Krill Oil contains a drastically reduced risk of mercury exposure. This is because Krill are far lower on the food chain than fish. So Krill generally contain lower levels of both mercury and other pollutants. Plus, the Omega-3 fatty acids in Krill Oil are absorbed differently than the ones found in Fish Oil. Krill Oil Omega-3 is absorbed in phospholipid form. This helps regulate cholesterol levels. Krill Oil is generally more effective than Fish Oil is helping to reduce artery and cardiovascular disease. There are a few precautions you’ll want to keep in mind before taking Krill Oil. First, you should never take more than the recommended dosage. Also, Krill Oil should be avoided by anyone with a fish or shrimp allergy. Consult with your doctor to ensure the supplement won’t conflict with any medications you’re currently taking. The supplement should contain at least 750 mg of Krill Oil. The amount of Krill Oil has a direct effective on the benefits provided. Avoid any brand which attempts to pad their supplement with additives. Look for a company with an established reputation. Many lesser known or newer companies use generic Krill harvested with unsafe methods. You’ll want Krill Oil created in a pure, tested laboratory. Harvesting krill doesn’t need to have a negative impact on the environment. You want a product which has tight controls over the harvesting methods used. Look for certifications from environmental organizations. Another factor to consider is whether other types of sea creatures are captured along with the Krill. Ideally, you want krill only harvest. 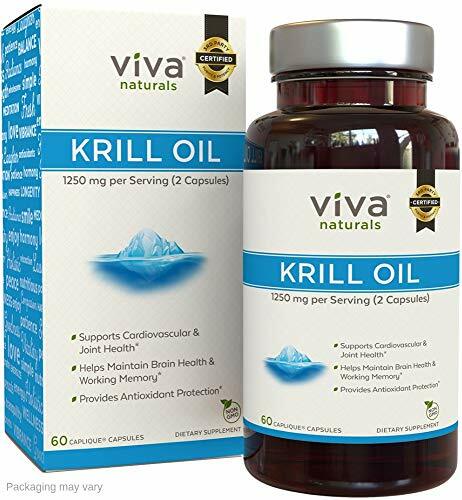 DELIVERS A HIGH CONCENTRATION OF OMEGA-3s - In just two easy-to-swallow capsules, Viva Naturals Krill Oil delivers 1,250 mg of krill oil, providing 165 mg of EPA and 95 mg of DHA. Vive Naturals Krill Oil takes great pride in their ability to harvest only fresh, mercury-free Krill. Their Krill harvesting methods are part of the Commission for the Conservation of Antarctic Marine Living Resources, an international effort to protect fishing locations. Krill are captured near Antarctica and processed directly on the ship to ensure maximum freshness. The recommended dosage is two capsules a day, which delivers 1250 mg of Krill Oil. This includes 165 mg of EPA and 95 mg of DHA. Phospholipids help increase the ease of absorption. Viva Naturals uses unique Capliques capsules. This banded seal keeps the Krill Oil fresh. Plus, the unique capsule helps cut down on any fish taste. Supports cognitive, cardiovascular, heart, and joint health, making it a foundational supplement for Total Human Optimization. Onnit Krill Oil uses sustainable harvesting to minimize the environmental impact. A certified Friend of the Sea, no other types of sea creatures are captured along with the krill. All krill are harvested in the remote Antarctic waters, far from any industrial areas and related pollutants. The supplements contain DHA, EPA, phospholipids and astaxanthin. Regular use supports heart, joint and cognitive health. Onnit’s Krill Oil supplement is designed for Total Human Optimization. More Krill for your dollar: Contains 1000 mg of Krill oil per SOFTGEL with more naturally occurring EPA, DHA, Phospholipids and Astaxanthin than any other Krill brand. Krill Oil doesn’t just help treat and prevent health problems. Regular use of the supplement also helps improve peak athletic performance, too. Sports Research Antarctic Krill Oil is designed for athletes and anyone else who wants to boost their energy levels. The advanced formula contains 1000mg of Krill Oil with EPA, DHA, Phospholipids and Astaxanthin. Sports Research claims they have more of these ingredients than any other Krill Oil Supplement on the market. While that’s probably a bit of exaggeration, these soft gelcaps do pack a lot into a little. The Krill Oil is traceable from “sea to shelf.” Krill are sustainably harvested for minimal impact on the environment. The manufacturing process is both certified by the Marine Stewardship Council and has a five-star IKOS rating. Krill Oil capsules are a bit fragile and tend to break open during shipping. 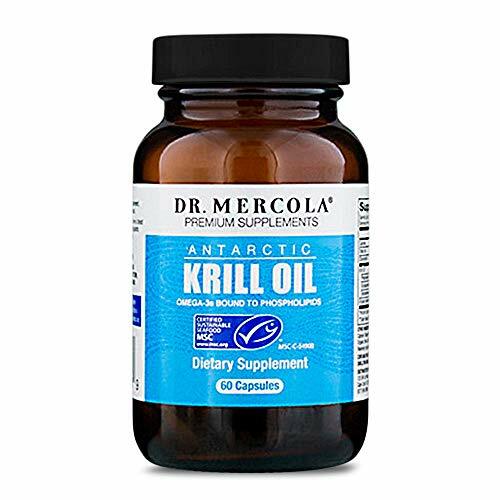 Dr. Mercola’s Krill Oil supplements use a hermetically-sealed protective Licaps capsule. This helps keeps the pills unbroken. 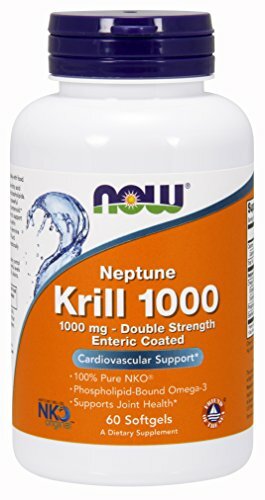 NOW Neptune’s Krill Oil has a unique profile with a balance of Omega-3, Omega-9 and phospholipids. Also includes Astaxanthin, an antioxidant which supports the immune system. Regular use of the 1,000 mg supplement helps joint, blood and heart health. Also helps reduce PMS symptoms. The soft gel capsule is manufactured under strict quality control standards. Each batch is tested to ensure non-existent levels of mercury, heavy metals and other contaminants. Krill Oil has numerous benefits for your heart, liver and more. But just because every Krill Oil supplement contains Krill doesn’t mean they’re all the same. How the Krill are harvested and how the oil is manufactured will have a big impact on the quality and effectiveness. All of the supplements on our list are high quality, but our top recommendation is the Viva Naturals Krill Oil. Krill are only harvested from the fresh waters of the Southern Ocean of Antarctica using sustainable practices as part of the Commission for the Conservation of Antarctic Marine Living Resources. Good for the environment and good for you, too. Capsules are small but pack a punch. Just two capsules a day delivers 1250 mg of Krill Oil including both EPA and DHA. Plus, the nutrients are able to be easily absorbed by your body thanks to the banded Capliques capsules. With no fishy aftertaste, swallowing the pills is simple and pleasant. Our runner-up supplement is the Dr. Mercola Krill Oil 1000mg – 60 Capsules. If you’ve encountered problems with broken pills, you’ll like Dr. Mercola’s unique protective capsule. Prevents broken capsules from covering the entire shipment. If you’re looking for a health supplement with the same benefits as Fish Oil, but without any of the potential downsides, Krill Oil can be an excellent option. Regular use helps promote heart health, reduces inflammation, promotes fetal development and more. With no fishy aftertaste, Krill Oil is light and easy for daily consumption. Although small in size, Krill have big health benefits for your entire body. What Are The Best Potassium Supplements Brands?